Since its first paddlers and club teams were organized in October 2009, the Orlando Rowing Club (ORC) has worked in partnership with the Orlando Health Foundation and Women Playing for T.I.M.E. to create the Orlando Rowing Club-Dragon Boat Club (ORC-DBC). 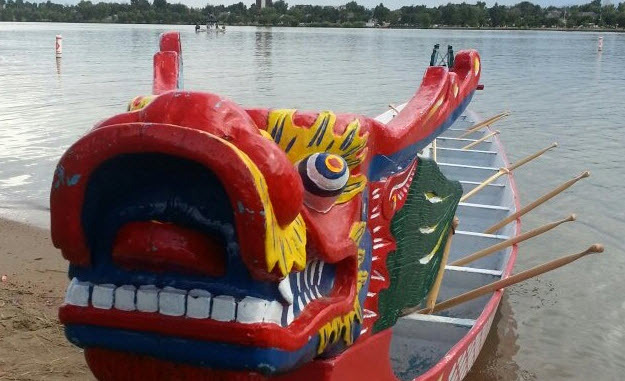 Since then, dragon boating has quickly become one of the most popular and recreational sports in the Orlando community. – To promote and develop the fun, as well as competitive, sport of dragon boating. – To promote cross-cultural understanding through the sport of dragon boating and community outreach programs. Learn more or Become a Paddler. Orlando Dragon Boat Club (DBC) is extending an invitation exclusively to ORC members to join the DBC for only $75 for 12 months. Usually it is $225! This is a limited-time offer, so don’t delay!